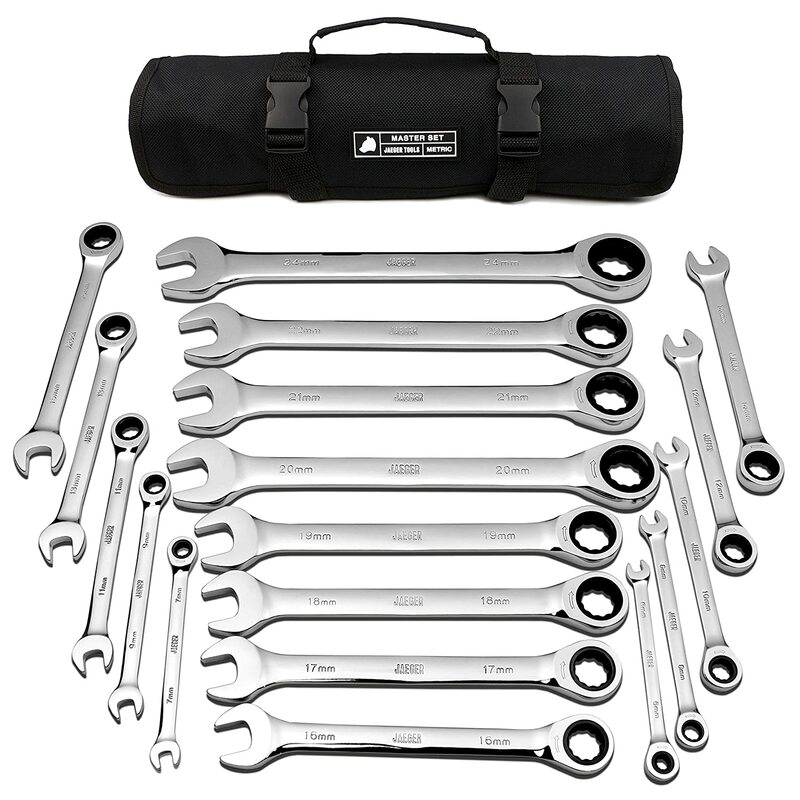 Anyone have experience with the GearWrench brand? particularly their ratcheting gear wrenches like this? Around $95 for this particular 12 piece set. They carry a 40-60% price premium over other brands. Have a lifetime warranty for defects and workmanship...blah blah blah! This set only needs 5 degrees of rotation to move a fastener but other sets in their line up would would be of interest also. Let me know! Been thinking about these for work. I'll expense them if possible. However if they're around the quality of Craftsmen which has gone downhill big time....then it might be better to get the Harbor Freight cheap Chink Crap and beat on them. The set I showed above was interesting for the low rotation to get a fastener to move. A possible addition to my personal tool set. 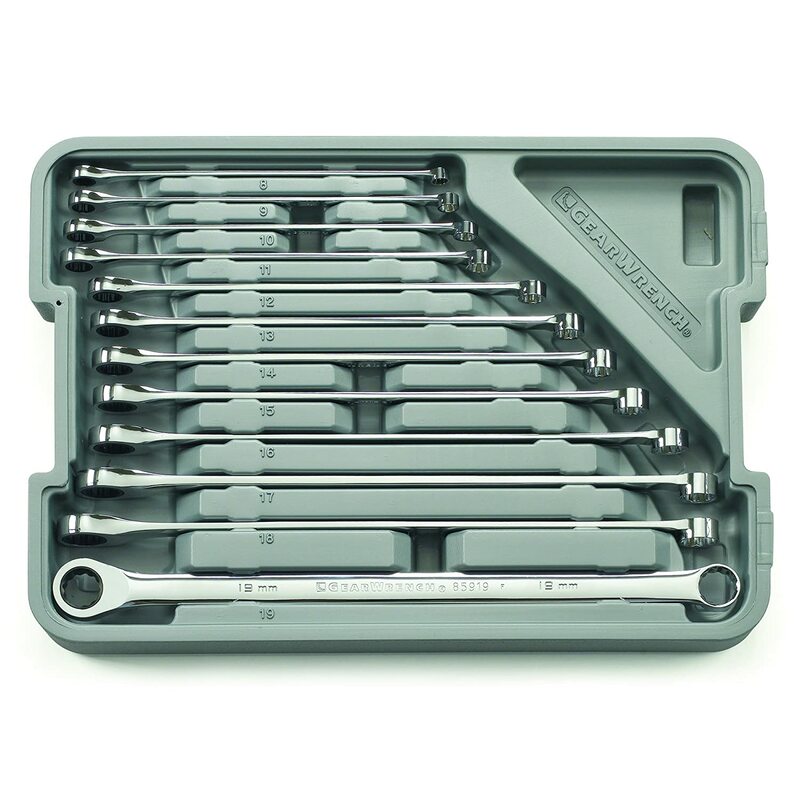 I have a set of Gear Wrench brand that I’ve used a lot the last I’m guessing 8 or 10 years. And - yes - the fine ratcheting is a life saver in super tight quarters. I almost never use my traditional combination wrenches anymore (ratcheting FTW!) except for daisy chaining for extra torque. My set is combination (vs. box on both ends), but of course the only time you need open end is in an in-line (hose, pipe, rod) situation, but you generally should use a line wrench for those anyway. 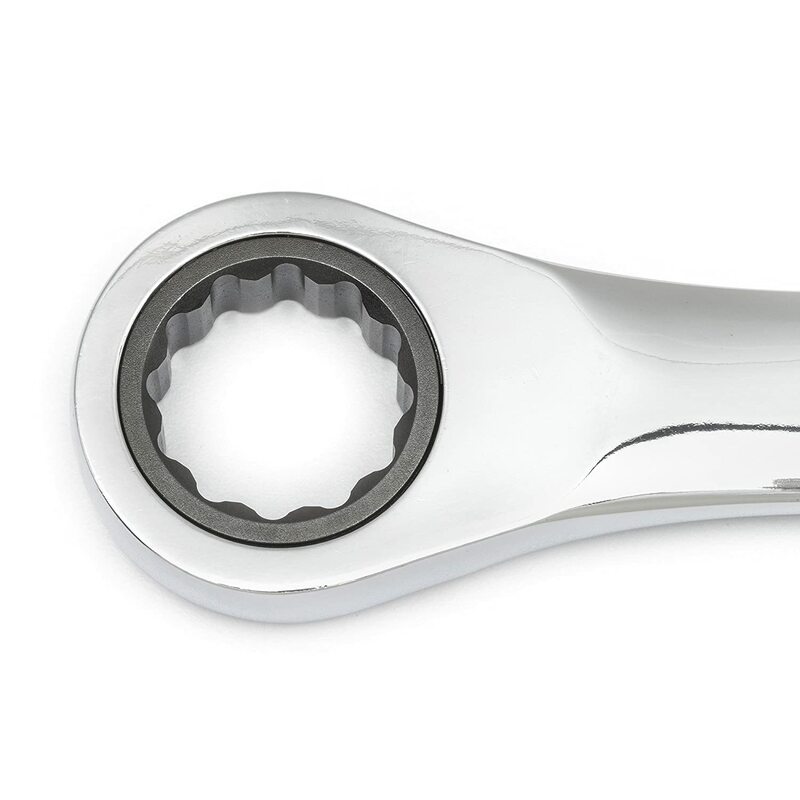 The only time I use open end anymore is when the nut is larger than the size of my ratchet wrenches, and for some of the more common larger ones on my cars, I’ve individually bought that size in a ratcheting wrench. As far as price, if you can expense them, I say go for it. They are definitely good quality. When things have been hard to break loose, I’ve beat on mine with a 4 lb. hammer, and multiplied torque by daisy chaining a second wrench (one thing you can do more readily with combination wrenches). Never broken one or degraded the ratcheting action one iota. Agree with KxWarrior about the case. My SAE set didn’t come with a case, but of course they don’t get used as much, so not a big deal. A case is of course good for traveling like you’re doing, Ron. One of my sets is Titan brand. Don’t remember where I got that one (O’Reilly’s?). It has also held up well. Last edited by peva; 11-16-2018 at 07:25 AM. Ahh - OK. Thanks. I must’ve had them for *quite* a while. I barely remember being close enough to go to one of those - must’ve been Richmond (a 60 mile drive from where I lived quite a while ago). It’s been a good set. Ended up buying these two sets of a different brand. Got both SAE and Metric sets. Great reviews on Amazon along with great reviews for customer service on replacements. Price for each set was less than the Gearwrench stuff. Expensed the SAE set. 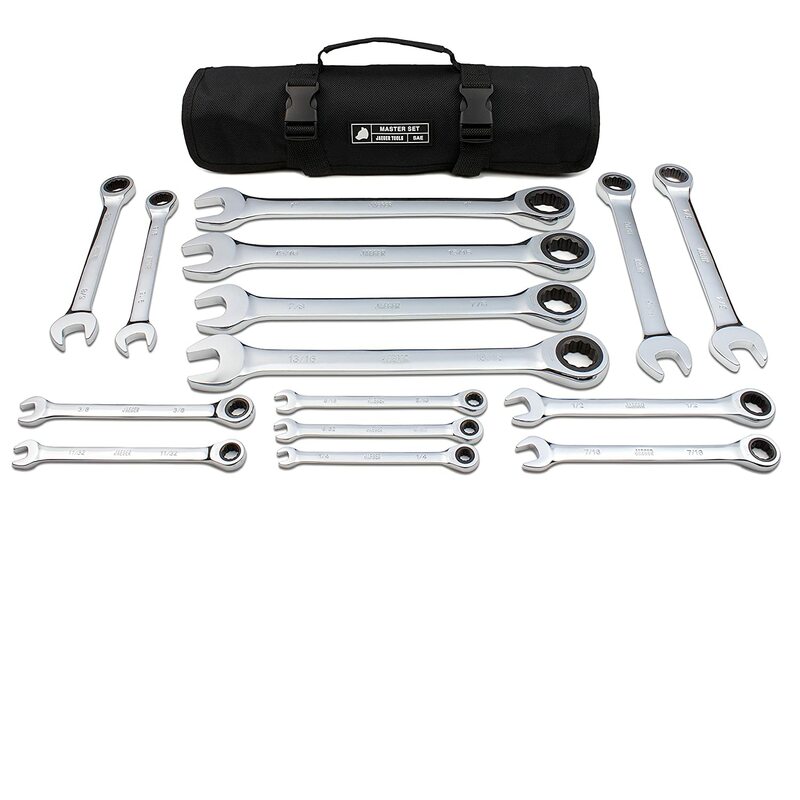 $59.79 for the 15 piece SAE set and $64.79 for the 18 piece Metric set. They're not "Flex-Heads" on the ratcheting side which is a plus for me. 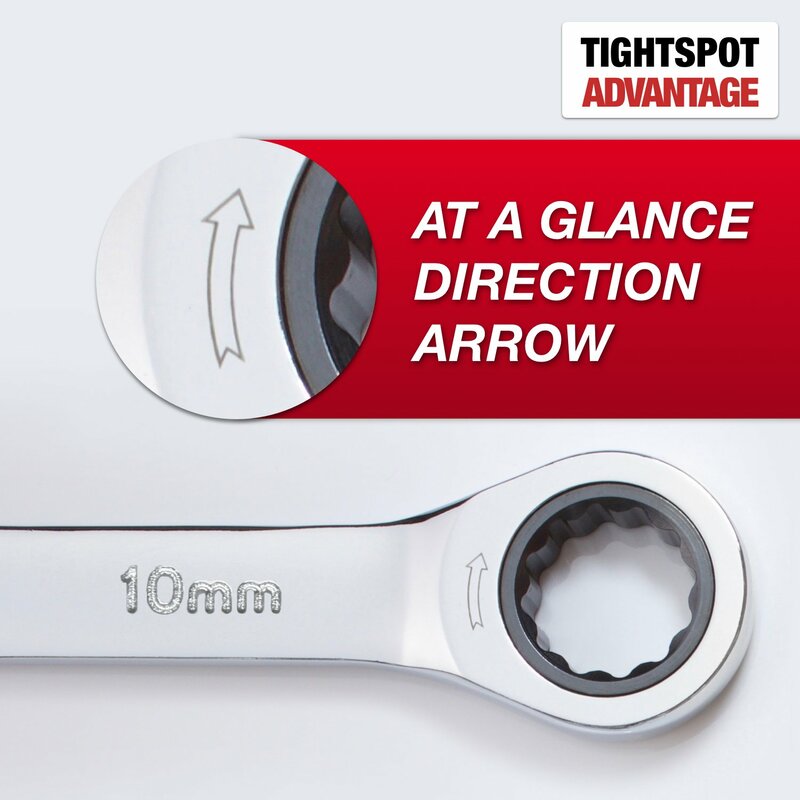 They also have Directional arrows on the ratchet sides so you know which way they'll turn. Cheaper sets don't have the arrows. I'll review them once I get some time/use on them. Last edited by Ronbo; 11-26-2018 at 05:39 PM. Sounds like you did some good research. The “Gear Wrench” did not steal Christmas. The Roll Up Case/Pouch seems to be more convenient than a hard plastic case for my needs also. Will take up less space in a Tool Box/Cart when I decide which one I'll be getting.